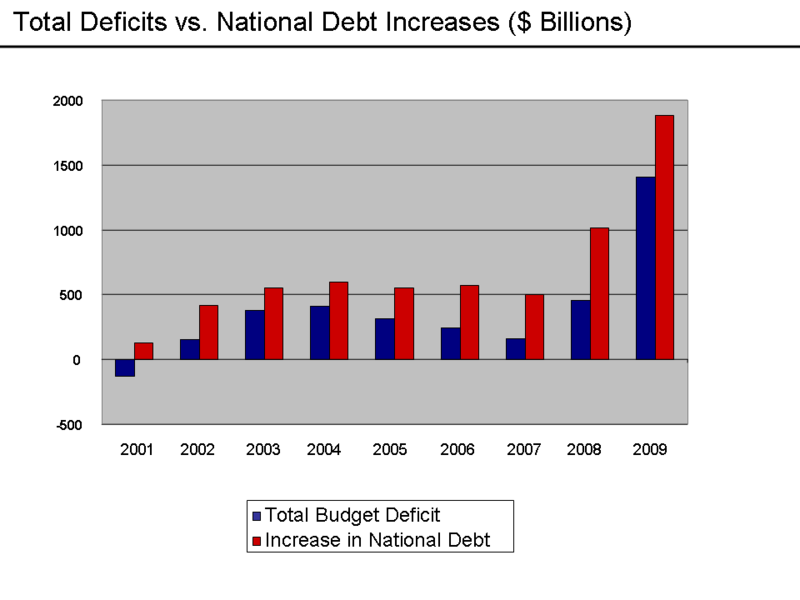 Although the terms are often used interchangeably, the deficit is different from the total debt. The deficit is the amount of money the government spends in excess of the taxes and fees it collects in one year. The debt is the cumulative amount of money borrowed by the government. The White House released its revised estimate of the deficit for the fiscal year ending September 30, 2010; it’s $1.47 trillion. The good news is that the deficit is projected to be $84 billion less than the amount estimated in February. The bad news is that government receipts are expected to be down by $33 billion. Irrespective of the final amounts, this is a gargantuan amount. I admit that have difficulty fully grasping the difference of the illions (i.e., billions and trillions). A $1.47 trillion deficit is almost unfathomable. Let me try to make a few points to illustrate the magnitude of this problem. The 2010 census is still underway, but it’s estimated that the current U.S. population is 310 million. Divided up equally amongst every person in the U.S., the government will borrow $4,742 for every single person this year. Looked at another way, they are overspending $13 for each person every day. 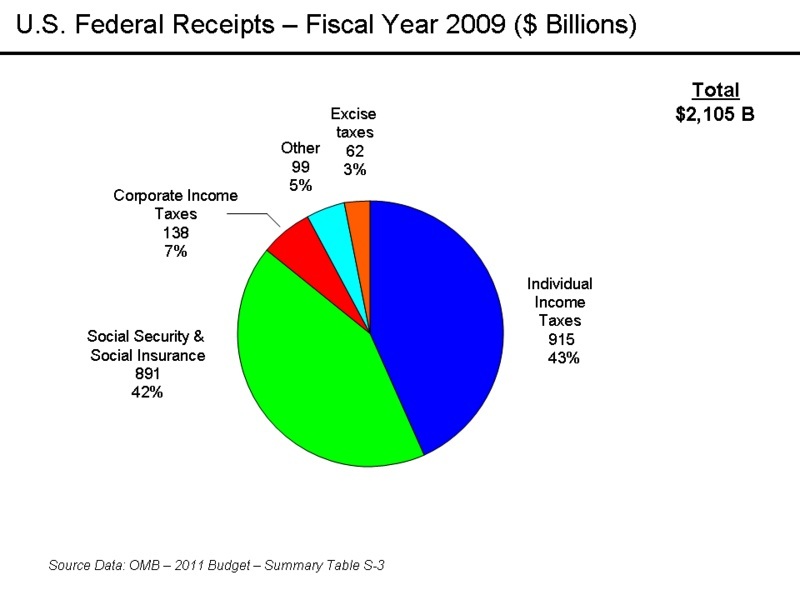 Total federal spending is about $3.6 trillion. Over one-third of it is deficit spending. Therefore, the government is borrowing $1 of every $3 it spends. The total taxes collected by the government in fiscal year 2009 was $2.1 trillion. Across the board, taxes would have to increase by 70% to break even. The current US debt is $13.25 trillion and will be ready to crest $14 trillion by the end of 2010. It total receipts are $2.1 trillion, it would take over 7 years to pay off the debt (including interest) if the government shut down and spent no more money. I understand the significance of the deficit is difficult to fully comprehend, but we can no longer afford to ignore it. My purpose with these articles is to raise awareness and hope people will step back and say enough is enough… something has to change. Change has to start with you and I.
Don’t count on politicians to voluntarily tackle this problem; they created it. Politicians always care the most about one thing… reelection, and the current system helps secure that goal. Cutting benefits, eliminating programs and raising taxes alienates constituents. The survival nature of politicians means they will defer or avoid decisions that may cost them votes. They will only make the tough choices and changes when voters are more upset with their inaction than with their actions. For years, politicians preached fiscal restraint, yet continued to support deficit spending. It’s time for deeds to match words. Keep in mind there are no simple solutions. If it was easy, it would already be done. We can’t cut our spending enough to balance the budget without significantly disrupting the programs and services we continue to expect and enjoy. Alternatively, raising taxes or expecting to grow our way out of this deficit is not realistic either. While I don’t have the answer, I believe the solution will be innovative, transformative and maybe even divine. Budget Basics #7 – Gaining Control of Your Spending The illions – What is a million, billion, trillion?